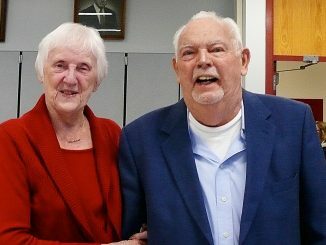 OSWEGO – Continental Arms Collectors Association will feature a military exhibit at the Oswego Elks Lodge annual Veterans’ Day dinner on November 7. The lodge is located at 132 W. Fifth St. 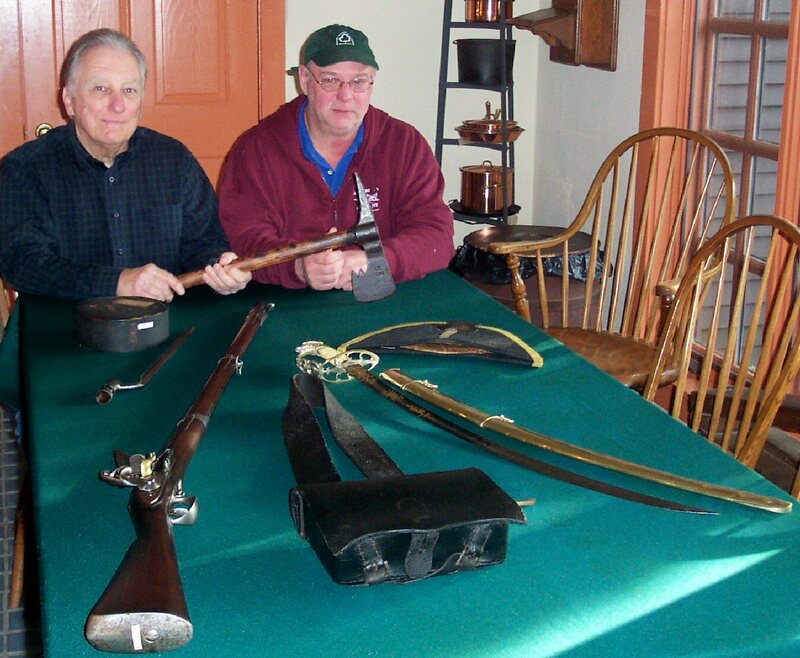 The public is welcome to view the exhibit beginning at 5 p.m.
Pictured, with a selection of War of 1812 artifacts, (from left) George Clark, president, Continental Arms Collectors Association; and Paul Lear, superintendent, Fort Ontario State Historic Site. Larry Ruth, author of several books on the M1 Carbine, will also display M1 carbines. The organization’s next exhibit will be at the Oswego International War of 1812 Symposium, April 17, 18 and 19, 2015, at the Lake Ontario Event and Convention Center, East First Street.